When you lose power or find yourself off the grid, a generator is a useful asset that can keep you powered up. Being prepared can make all the difference between being comfortable and safe or having to “rough it” and go without modern conveniences. There are many factors that must be considered when purchasing a generator. Below are some things you should know before you buy a generator. There are three types of generators. Home standby generators, portable generators and inverter generators represent your three options. Each category offers benefits and drawbacks that must be evaluated. Consumer Reports claims that these three types of units can provide reliable supplies of power from 5000 to 20,000 watts. Home standby generators are expensive. Due to the size and complexity of these generators, it is highly recommended that you hire a professional for installation. These units switch on automatically when the power goes out eliminating any downtime or inconvenience. As sophisticated systems, they are designed to alert managers and owners about maintenance issues immediately, communicating this important information via text or an email. Comparatively, portable generators and inverter generators are less expensive and provide a power source that is adequate for many consumers. The least expensive option is a portable generator. They provide 3000 to 8500 watts of power and can be easily transported. Inverter generators are more expensive and quieter than portable generators. They also have fewer emissions than most portable models, which makes them a safer choice. Generators can be very noisy, so it is critically important that you understand the different noise levels associated with different generator models. No one wants to go in search of peace and quiet on a camping trip, only to endure a loud generator that interrupts the sounds of nature and makes it difficult to truly enjoy the outing. Inverter generators are often used for recreation since they tend to be quiet. The downside of buying an inverter generator is that these models are more expensive than portable generators. My Generator suggests that consumers verify the muffler quality before buying a generator. The number of watts required to power your home’s appliances and power needs must be calculated prior to selecting a generator. Simply add up the wattage for your fixtures and appliances. Washington Post reports that there is a data plate located on appliances that will provide energy requirement information. You can also find the energy specs online by looking up model numbers. Consumers must do the math to decide on the required number of watts they will need in the event of a power outage. You simply multiply amps by volts to arrive at the watts. Then you can take this number and start shopping. Generators represent a high-ticket item for most families, ranging in price from $400 to $6000 depending on the features and power output. As is true for most products, the more you pay, the more features and power you can expect to get. Home standby generators offer superior benefits for increased convenience and ease of use. The typical cost of one of these units ranges from $3000 to $6000. For these higher prices, consumers can expect to benefit from 5000 to 20000 watts. These generators are believed to be safer and easier to operate with automatic startups and self-diagnosis maintenance features. Lower cost options are often logical alternatives to home standby generators. Portable generators typically cost $400 to $1000. While this choice might be perfect for some uses, the loud noise and higher emissions can make this type of generator less than optimal for many consumers. Inverter generators represent an in-between solution for consumers who don’t want to worry about excessive noise or dangerous emissions. These units cost between $500 and $4000. Shopping on sites like Generator Place Australia educates consumers so they can compare pricing and make an informed decision. Sites that specialize in generator sales are a good place to start your research. You need to purchase a transfer switch to connect your generator to your circuit panel. If you fail to do this, the safety of the utility workers will be at risk and your appliances might burn up. The generator can also be damaged if you don’t use a transfer switch. It is recommended that you hire a licensed electrician for installation. Budget about $500 to $900 to get the work done. Generators require a lot of space. Even portable units need space since they need to be 20 feet away from the home due to dangerous carbon monoxide emissions. Loud noise levels also impact the logistics of owning a generator since you’ll want some distance between your home and a portable generator. Another consideration relates to fuel storage requirements. 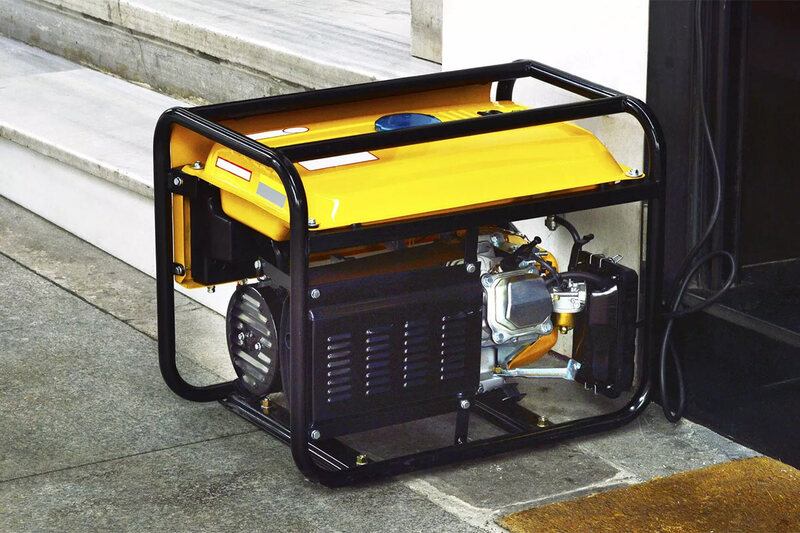 Since most portable generators run for a maximum of 16 hours at a time before requiring more fuel, it is recommended that owners have extra gas available. In the case of a blackout in the area, buying additional fuel may be difficult since gas pumps require electricity to run. Losing your electricity is inconvenient and leaves you feeling vulnerable and a bit frantic. That’s why it makes sense to carefully consider the best starter for your generator. Do you want automatic starting? You will pay more for this feature, but it may give you peace of mind so that you aren’t fumbling around in the dark to start your generator. Generators provide peace of mind. In a world that comes to a screeching halt when the power goes out, a generator guarantees that you aren’t inconvenienced.